As part of the rebrand/redesign project, we were tasked with creating a prototype out of construction paper. This was kind of a fun part of the project! The results of my construction paper prototype are shown below, after the jump. 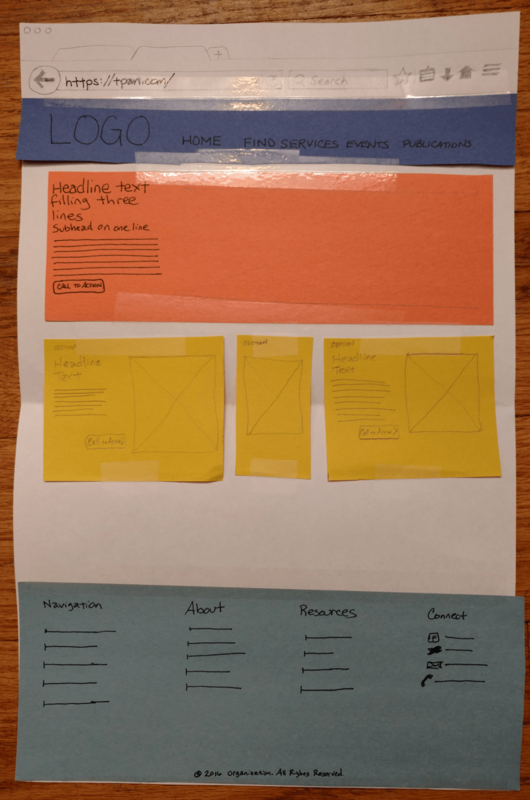 This entry was posted in Project and tagged mockup, paper, prototype. Bookmark the permalink.